Decided to go with Viserion. I kept using Viserys long after season 1 so I guess this is fitting. Is it weird I think you might be right, honestly? Everyone else dies, she becomes Queen in the North, and protects and leads the southern people through the Long Winter. Even if we defeat the White Walkers, the Long Winter is still coming. Who better to lead than a Stark who has shown to be extremely adept at ruling, when given the chance? At the very least, Sansa will be Queen in the North. I think they might "break the wheel". No more throne, at least not the iron throne. Yes, I agree with these statements! Also Cersei's baby will be a dwarf and she will live long enough to see it and go even more mad. And then Uncle Tyrion will find the love he has always desperately craved as he raises the child to rule the Westerlands. Also also I think in the book they'll make peace with the White Walkers (Others if you want to be pedantic) and coexist but in the show they have to kill every last one of them. I think your theory about Cersei's baby is a good one, I just can't see this final season lasting long enough for Cersei to actually grow and give birth to a baby. But if she does, it will almost assuredly happen as you've said. 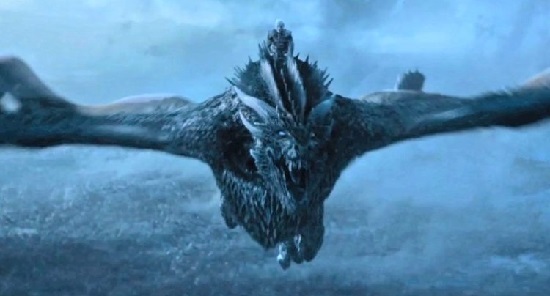 The Night King to trip over a direwolf pup and land on a piece of dragonglass... instantly ending the war. Direwolf pup declared Lord of the Seven Kingdoms, King of the Andals, the First Men and Protector of the Realm. Puppy's first act is to take a sh*t on the doorstep of the Red Keep. Oh I like this dwarf theory. there's this thing my family makes called cheesecake dessert. 2 sticks of cheesecake room temp, electric beat with one can of sweetened condensed milk. super simple, very tasty, looks like of like a white blob. You should check out the Google Doc. Shauna is the goddamn Many-Faced God.